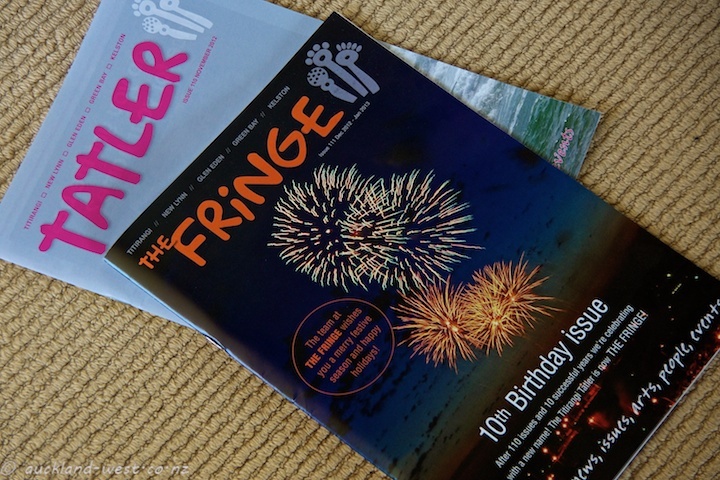 … a name change: the Titirangi Tatler has become “The Fringe” (serving communities on the western fringe, and remembering that Titirangi means “Fringe of Heaven”). It appears that a certain glamour magazine in the UK felt threatened by the Titirangi monthly publication – hence the name change to avoid protracted legal wrangles. You can read it online in issue 110.